There's something beautiful in the sheer size of Lindley Hall, with its uninterrupted space fitting up to 700 standing guests for a broad range of events. 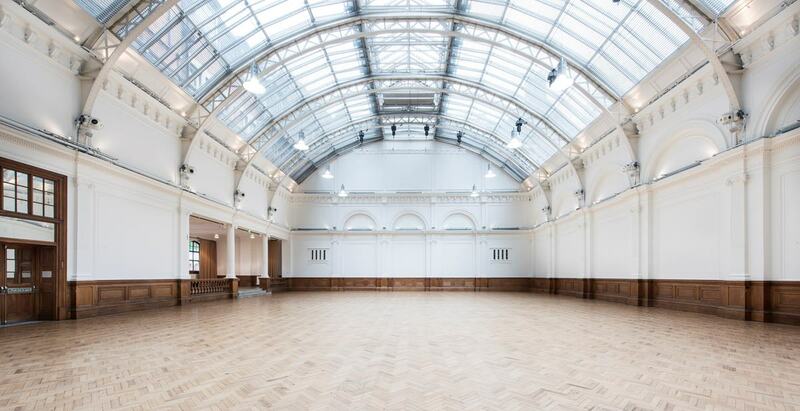 In the very heart of London, close to Victoria and Westminster, Lindley Hall is the signature space at the Royal Horticultural Hall, a historic building that first opened its doors in 1904. As the name suggests, it was home to the Royal Horticultural Society, with the primary focus of hosting botanical art exhibitions. 1 The venue's history foretold one of its many functions today, with its use as a prime exhibition space – and not just for botanics, obviously. It has room for 75 stands, and provides natural daylight through the high-vaulted glass ceilings. Moreover, the space is a blank-canvas one, proving flexible for any type of exhibition. 2 But these days, it's not only home to exhibitions; the Grade-II listed venue has also been home to other creative showcases such as fashion shows, and film and photo shoots. It's been the set for an Anya Hindmarch fashion show, Renault F1 car launch and Maserati product launch, for instance. It's easy to see why: it's picturesque in its period features, ornate columns and cornices, making for the perfect backdrop for an artistic endeavour. 3 When it comes to business events, Lindley Hall has proven itself to be a versatile conference venue, with seating available in a host of different layouts. One of the major pulls is the ultra-modern conference technology, including the iPad-controlled AV facilities, intelligent lighting, PA system and free Wi-Fi. Corporate events such as these will also be accompanied by a dedicated event planner, as well as numerous mouth-watering catering options from London's most renowned suppliers. 4 When business events mean evening events, Lindley Hall is just as appealing a space, coming to life with highly tailored décor and adornments at night. 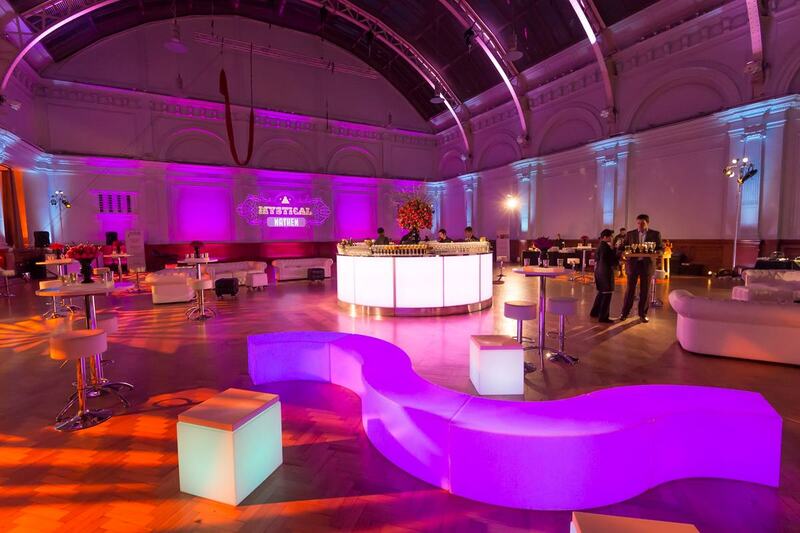 For standing receptions, for instance, the hall will welcome up to 700 guests, who can marvel at the transformation of the space, with on-site, bars, street food stalls and even performers available (even acrobats have featured in the past). For gala dinners and balls, up to 450 seated guests are welcome, with the caterers mentioned above able to provide tantalising three-course dinners. Confit of salmon and crab tortellini, anyone? 5 No less attention is paid to a wedding event – after all, it's the biggest day in a couple's life, right? Without even mentioning the prime location and beautiful Edwardian features (oops, we just did...), couples will be impressed by the attention to detail to every part of the wedding and reception. And, again, the same commitment to flawless catering choices will be seen at wedding functions, too, making for the best backdrop for tying that oh-so-binding knot. This is by no means an exhaustive list, of course. The venue even caters for every child's favourite event, by offering its space up as an exam hall. Have fun with that, kids. To enquire about booking your next event at Lindley Hall, click here. To browse other awesome spaces, head to hirespace.com.